Free play helps a child to develop creativity, self-expression and simply enjoys and have FUN! Free play is also important for children to reach important social, emotional, and intellectual milestones. Dot loves to play. That’s what children love to do all the time. Every waking moment is play for Dot. She is as busy as a bee when she is awake whether she is indoor or outdoor. Here is a glimpse into what she was up to recently. She is making funny faces at me when I was snapping away with the camera. I simply love taking pictures of her. 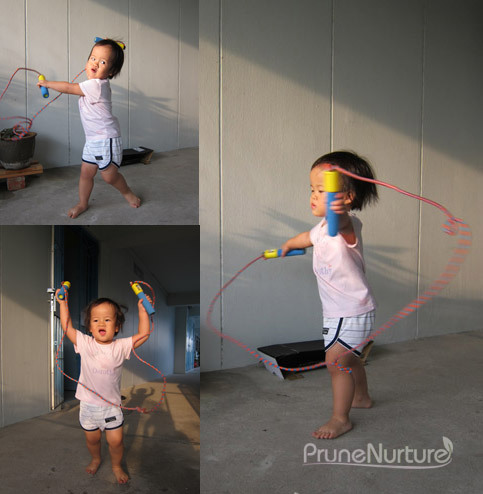 A few weeks back, she saw two sisters skipping ropes and she is motivated to try it herself. Her way of skipping is to swing the rope around. She even shows to our neighbour her skipping “talent”…haha! 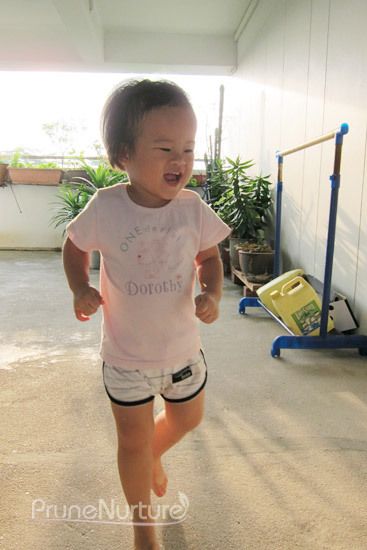 As she was skipping at the corridor, her uncle stood at the door and sprayed water at her without her knowing. She was a bit puzzled and I asked her, “What happened?” She replied, “It rain because Dot skip.” I just laughed. 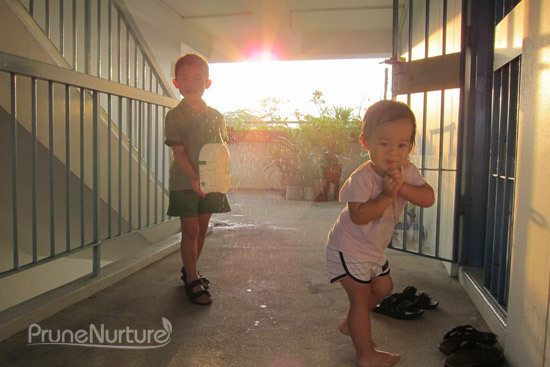 Not long after, she realized that it was not the rain but it was her uncle spraying water at her. She quickly ran away and tried to take shelter from the spraying water. As she ran, she laughed. 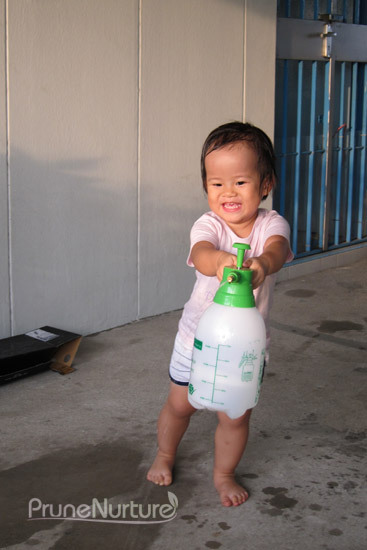 After taking hold of the water spray, she had so much fun spraying water all over at the corridor. As she played, the children next door returned home and joined in the water play. Dot was so delighted with the additional company. Fun. 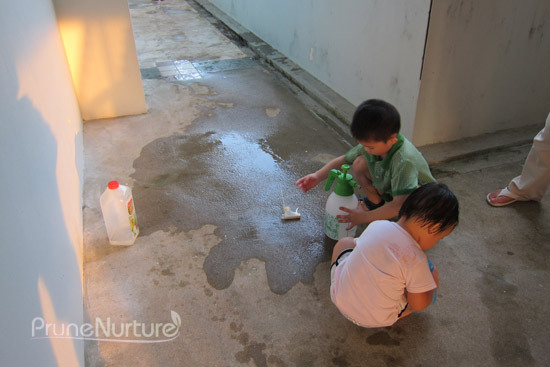 The children started bringing out different containers with holes and started spraying around. So fun and we just let them play! Free play is life’s simple pleasure for children and adults alike!